The rising stacks of e-waste are the concern of almost all the nations nowadays. It is the biggest issue on the agenda of every environmentalist. The quantity of e-waste is increasing rapidly and estimates have been made that almost 75 percent of obsolete and unused electronic devices are in storage because there is no proper way to get rid of the old and discard material. Discussed below are the e-waste management strategies initiated by manufactures to tackle the problem of e-waste. Dell is starting up a new service that will recycle old and unused electronics for small businesses. The program used to wash all the data from the hard drives will cost $25 each of up to 10 pieces of hardware. Companies will also be able to resell their old valuable equipments to Dell. This service is in practice since last September and company’s effort to save environment are being appreciated all over the world. Dell has been registered as one of the nation’s ‘responsible recyclers’ by the Silicon Valley Toxics Coalition. This is because they do not transfer their electronic trash to the developing countries for hazardous dismantling rather they recycle it. Making green revolution as its theme and priority, Dell has also started making more energy efficient computers and is planning to plant trees to make up for the carbon emission done by its computers. In an effort to promote recycling of e-waste, Nokia India has initiated an operation where customers can drop their old mobile sets in the company’s stores and win gifts or get concession on purchase of new handsets. This service started from Delhi where various recycling bins were set up across Nokia Care Centers. Customers can drop their used mobile handsets as well as other accessories like charger, battery, headphones, etc., in these bins. This whole operation was dubbed as ‘Take Back’ campaign. Company will also plant a tree for every handset dropped into the recycle bin. 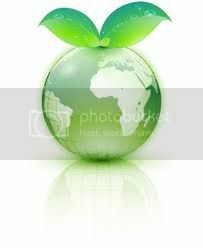 The company is planning to make an impact on the society by making its business go green. This practice started by Nokia, will serve as awareness campaign for other companies too and can prove a great help in reducing e-waste. Toshiba is extending its recycling program to include copiers, imagining consumables and toner cartridges, etc. The company witnessed hike of 410% for electronic wastes recycled in 2010 when compared to 2009. The company has named this new campaign as ‘Zero Waste to Landfill’ recycling program. Aim is to provide an easy and efficient service to the businesses to recycle e-wastes. Since 2008, Toshiba works in collaboration with Close the Loop, the company which creates various recycled products like park benches, fences and garden boxes, etc., from recycled plastic. Jidaw Systems Limited is a company that basically deals in training, consulting and web content provision. Company totally discards the use of heavy electronics and generates very less electronic waste. The company has laid a few e-waste policy objectives and strategies. It includes minimum generation of e-waste and pollution control, dumping of e-waste with no harmful impact on the environment, maintenance of computers/hardware to increase their life, dejecting obsolete computers importation and disposing of electronic waste into Nigeria, encouraging use of recycled products, promoting e-waste recycling and imbibing it completely. The world around is going green and in this green race big companies are working hard to leave a positive impact on their customers and the society. Recently Coca-Cola announced $3 million to achieve green upgrades to its headquarters located in Atlanta. The main aim of this green program is to reduce energy consumption in the building by 23% and water consumption by 15%. In this regard, energy efficient lights and air-conditioning equipments are being installed and provisions are being made to harvest rain water. Investment cost will be recovered quickly because company will save $1 million annually by implementing this project. The project is expected to be complete in next one and half year and once operational it will be able to reduce carbon emission by 10,000 metric tons annually.